William L Howard I first got interested in radio while a Cub Scout back in 1954. I built the crystal radio set and the one tube set with help from an amateur down the street. I lived near Fort Monmouth and toured the old Signal Corps Museum when ever I could. I went to Valley Forge Military Academy in Wayne, Pa and then went to the Citadel, graduating in 1964. I was commissioned as an Ordnance Officer. Was trained as a Tank-automotive maintenance Officer, was sent to Europe and was assigned to the unit which controls Nuclear weapons. In 1966, I was transferred to France and served as the commander of the 11th Military History Detachment during the move out of France. I also transferred to Military Intelligence and was sent to Vietnam. From 1967 until 1968, I was a member of the Combined Material Exploitation Centre in Saigon. Originally served as Chief of the Weapons and Munitions Section, I was later sent out as the OIC of a field collection team.. We back hauled all captured material to the CMEC for in-country exploitation. Knew most of the Chinese Radios that were used in the war. I left active duty in Feb 1970 and worked for Sun Oil company and then Liberty Mutual Insurance company and was active in the Army Reserve with a Manoeuvre Training Command, running field training exercises for Army Reserve and National Guard units in a four state area. During this period I put together a large collection of foreign weapons and material. I sold the collection to the Hershburger Brothers of Indiana. 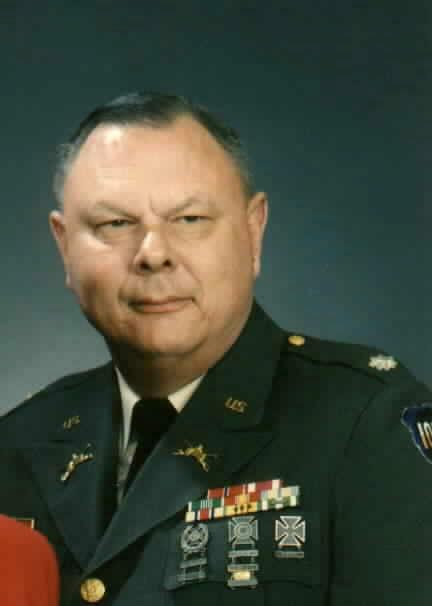 Walt Hershberger later became the first Foreign Material Training Officer with the newly re-created technical intelligence unit at Aberdeen Proving Ground. In 1976, I returned to college at the University of South Florida and got a second undergraduate degree in Engineering. Graduated in 1979 as the Soviets were invading Afghanistan. I went to work for Battelle Memorial Institute in Columbus, Ohio. I was a researcher in the Ordnance Technology Division where we did many classified studies on Soviet bloc weapon systems and other topics. I left Battelle in 1981 due to a personnel cutback and went to work as the Special Assistant to the President of Leatherwood Industries in Stephenville, Texas. We made the ART II sniper scope and also held the patents on the MAC 10 submachine guns. I left there in 1983 and was still active in the US Army Reserve. I had transferred to Armour Branch and was now a Mobilisation Designee to the Defence Intelligence Agency. During my summer tours there I wrote the national intelligence collection requirements for Cuba, Indo China and for Soviet Science and Technology. When I finished those tours, ill health in members of my family forced me to spend the next few years caring for them which was a full time job. Once they had passed away, I moved back to Florida and officially retired from the Army Reserve. I began collecting again and started building radios. My ambition had been to eventually establish a museum to preserve the history of the Army's technical intelligence operations. To this end I again started collecting weapons, radios, books, and documents that relate to the subject. My mother passed away in 1994 and I now have a large home in the Tampa Bay area which houses the collection. The garage, office and workshop area are filled with WW II, one bedroom is Korean War era, another bedroom is the Vietnam war era and a large "Florida Room" is the current period, 1970 to now. I have one of the larger collections of Japanese radios and communication equipment in the nation. It increases in size each year as items become available. I have produced a more comprehensive book on Japanese communication with many colour pictures. It has been up-dated several times. I have remained active in technical intelligence as a retiree. I was an invited guest to the building dedication ceremony of the new eight and a half million dollar foreign material intelligence complex in 1988. Since then, I have been brought to Aberdeen Proving Ground on several occasions to teach the introduction to technical intelligence phase of the technical intelligence analysis course taught there twice a year. In 1996 I was nominated for the Military Intelligence Hall of Fame. In 1997, I was a distinguished guest at the Change of Command Ceremony. William L. Howard, (US Army Retired Col.) was transported on 9 Jan 2008 to the hospital with diagnosis of "Heart attack". There he developed pneumonia and kidney failure. The hospital finally released him to recover at home. Facing open heart surgery and surgery on his foot he sadly passed away May 5 2008 at the age of 67. 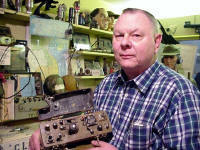 Bill was not a radio ham or a big electronics hobbyist. But he did have a strong drive to create perfectly complete museum-like displays of WW2 radio equipment, mainly German and Japanese equipment. Some of his articles will live on for a long time, on Army Radio Sales website. His effort was one of the first and still is one of very few efforts to systematically catalogue communications equipment of WW2 and the Vietnam war. 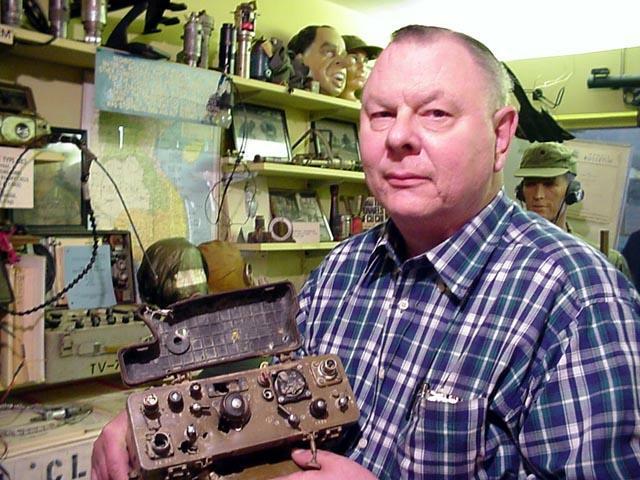 Though Bill was not a ham (he had planned to get his license, but never got around to it), he enjoyed radio and was acknowledged by many to be the leading world expert in WWII Japanese radio gear. His collections in the museum were extensive, with story boards explaining time lines, use, and so on. His collection extended from before WWII up to items collected from Eastern Bloc countries after the fall of the Soviet Union. 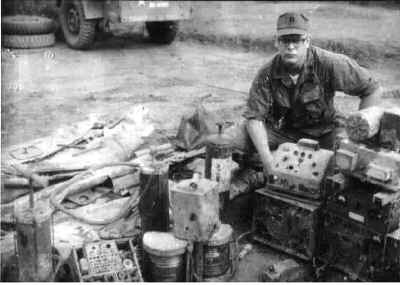 Bill served in Viet Nam, collecting and evaluation equipment from the battlefield for intelligence purposes. One of the most interesting pieces in his museum was a Chinese-made VC or NVA radio with 20+ bullet holes in it. He also had a large collection of weapons, about all that needs to be said on the topic. Spy/Covert gear, maps, documentation - you name it, chances are he had one in the collection. Bill was a big man. He was also a heavy smoker. As Hue Miller mentioned in the above announcement, 67 is too soon to leave. Especially for a man who had done so much, knew so much, and had so much more to offer. I still chuckle when thinking about one of his stories, relating to his time at Military Armament Corporation or their successor (the makers of the MAC 10), and some dubious individuals who stopped by one day for an apparent 'hostile takeover' of sorts. He was in his prime then, and I certainly wouldn't have wanted to piss him off. Though it's not specific to AM radio, his loss will be enormous to the community from a historical perspective. Particularly the mil-radio side of things. Farewell Col. Howard, and thank you for your service to USA, Todd, KA1KAQ.